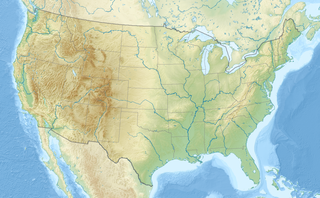 There is an extensive but little-recorded human history pre-European settlement in this area, with the present county containing portions of regions populated by a number of Native American tribes. The earliest definitively established occupation by modern man (Homo sapiens) appears to have occurred six to ten thousand years ago. However, there may have been human presence far earlier, at least as far as non–settling populations are concerned. The known settled populations were hunter-gatherer societies that had no knowledge of metals and that produced utilitarian crafts for everyday use (especially woven reed baskets) of the highest quality and with graphic embellishments of great aesthetic appeal. Extensive trading from tribe to tribe transferred exotic materials such as obsidian (useful for the making of arrowheads) throughout the region from far distant Californian tribes. Unlike the nomadic Native American of the Great Plains it appears that these tribes did not incorporate warfare into their culture but were instead generally cooperative. Within these cultures the concept of individual or collective land ownership was nonexistent. Early European settlers in the region, however, did not record much about the culture of the natives. Most of what is known culturally comes from preserved contemporaneous and excavated artifacts and from inter-generational knowledge passed down through northerly outlying tribes of the larger region. West County, including of the cities of El Cerrito, Richmond, San Pablo, Pinole, and Hercules, as well as the unincorporated communities of Kensington, El Sobrante, North Richmond, Rodeo, Crockett, and Port Costa. Lamorinda, including of the cities of Lafayette, Moraga, and Orinda (the name being a portmanteau of the three city's names), as well as the unincorporated area of Canyon. North Central County, including of the cities of Walnut Creek, Pleasant Hill, Concord, Clayton, and Martinez, as well as the unincorporated areas of areas of Pacheco, Vine Hill, Clyde, the Pleasant Hill BART station, and Saranap. San Ramon Valley, including the cities of Danville and San Ramon, and the unincorporated communities of Alamo, Blackhawk, and Tassajara. East County, including of the cities of Pittsburg, Antioch, Oakley, and Brentwood, as well as the unincorporated communities of Bay Point, Bethel Island, Knightsen, Discovery Bay, and Byron. ^ "Planning Framework". Contra Costa County. July 2010. Retrieved April 22, 2019. Alamo is an unincorporated community and census-designated place (CDP) in Contra Costa County, California, in the United States. It is a suburb located in the San Francisco Bay Area's East Bay region, approximately 28 miles (45 km) east of San Francisco. Alamo is equidistant between the city of Walnut Creek and the incorporated town of Danville. As of the 2010 census, the population was 14,750. The community of Alamo is well known for its bucolic country feel, notable residents, and its affluent lifestyle with the median home price being $1.89 million. Concord is the largest city in Contra Costa County, California. At the 2010 census, the city had a population of 122,067 making it the 8th largest city in the San Francisco Bay Area. Founded in 1869 as the community of Todos Santos by Salvio Pacheco, the name was changed to Concord within months. The city is a major regional suburban East Bay center within the San Francisco Bay Area, and is 29 miles east of San Francisco. 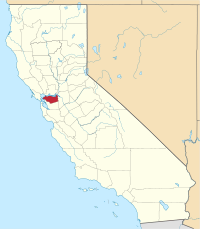 San Ramon is a city in Contra Costa County, California, United States, located 34 miles east of San Francisco, and within the San Ramon Valley. San Ramon's population was estimated as 75,931 in 2017 by the US Census Bureau, making it the 4th largest city in Contra Costa County, behind Richmond, Concord and Antioch. The East Bay Regional Park District (EBRPD) is a special district operating in Alameda County and Contra Costa County, California, within the East Bay area of the San Francisco Bay Area. It maintains and operates a system of regional parks which is the largest urban regional park district in the United States. The administrative office is located in Oakland. Area code 925 is a California telephone area code that was split from area code 510 on March 14, 1998. It covers the inland portions of the East Bay counties of Alameda and Contra Costa in the central area of California. Morgan Territory is a region in California on the east side of Mount Diablo in the San Francisco East Bay's Contra Costa County. The area is named for settler Jeremiah Morgan. Briones Regional Park is a 6,117-acre (24.75 km2) regional park in the East Bay Regional Park District (EBRPD) system, located in the Briones Hills of central Contra Costa County of the San Francisco Bay Area in California. 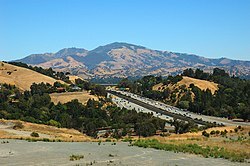 The Diablo Valley refers to a valley in the East Bay of the San Francisco Bay Area, to the west/northwest of Mount Diablo. The valley contains the cities of Clayton, Concord, Martinez, Pleasant Hill, most of Walnut Creek and the CDP of Pacheco. The Diablo Valley has a diverse population both ethnically, and socio-economically. West of the Diablo Valley lies the Briones Regional Park and the Lamorinda area. The Contra Costa Canal is a 47 mi (76 km) aqueduct in the U.S. state of California. Its construction began in 1937, with delayed completion until 1948 due to World War II shortages in labor and materials. A portion of the canal's right of way has been developed as the Contra Costa Canal Regional Trail, a biking and walking trail, and is managed by the East Bay Regional Park District.